CupNotes™ is that single place for keeping your ideas, plans, notes and other small pieces of information. Whenever you need to quickly write down an important telephone number or outline a concept of a business idea, it is always on your desktop, just one click away. 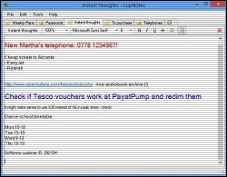 CupNotes is available in FREE, LITE and PRO versions. Read about the differences between them. 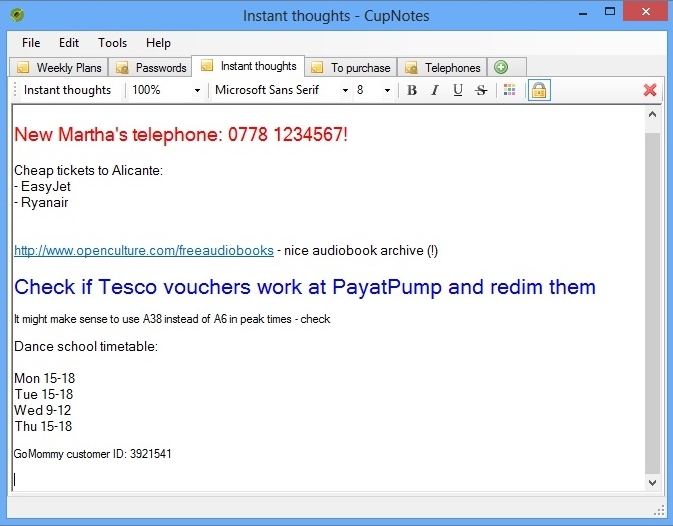 CupNotes is available for download here. We would be very thankful to you for telling us everything you think about the product (be it bug reports, comments, points of view, or your thanks). 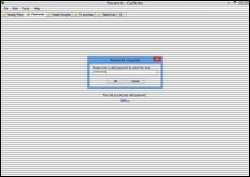 We appreciate your help in making our software better. Technical requirements: Microsoft Windows XP/2003/Vista/7/8, .NET Framework 2.0 or higher, 128Mb memory, 10Mb free on HDD. 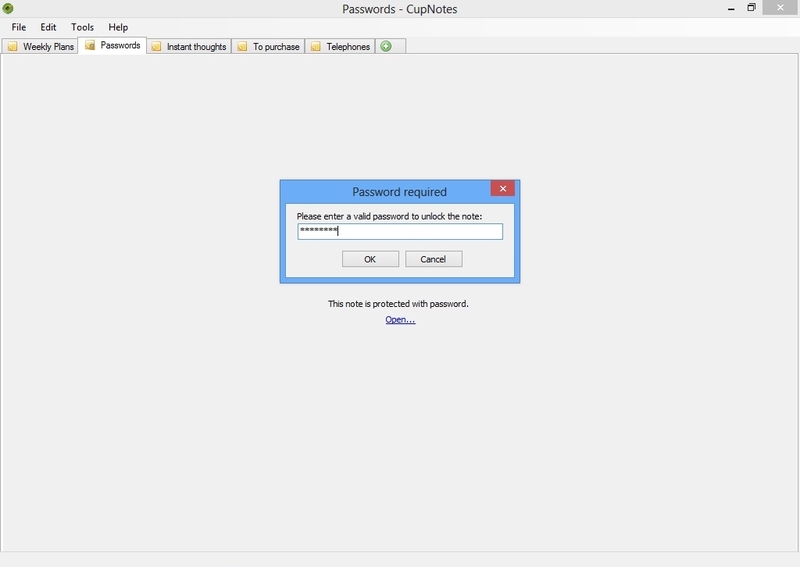 CupNotes™ software is provided in accordance with the license agreement. To unlock the above functionality, please purchase a license.